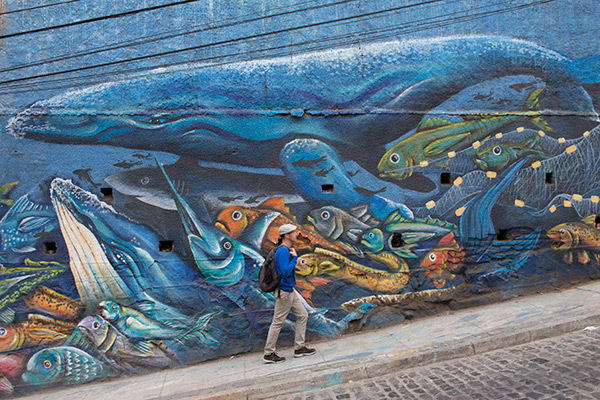 Valpo, as locals call it, is just a couple of hours from Santiago. 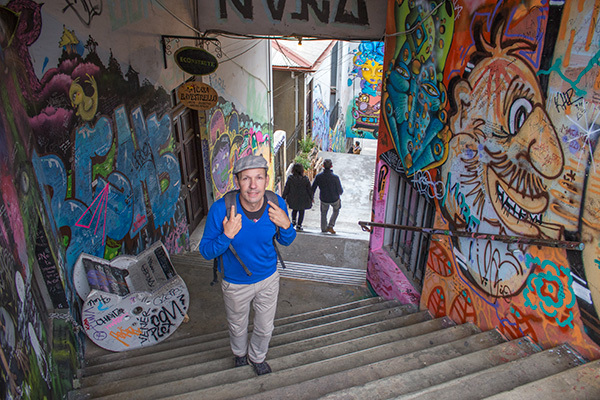 Its labyrinthine backstreets and passageways are spread out across a series of over 40 hilltop neighborhoods. 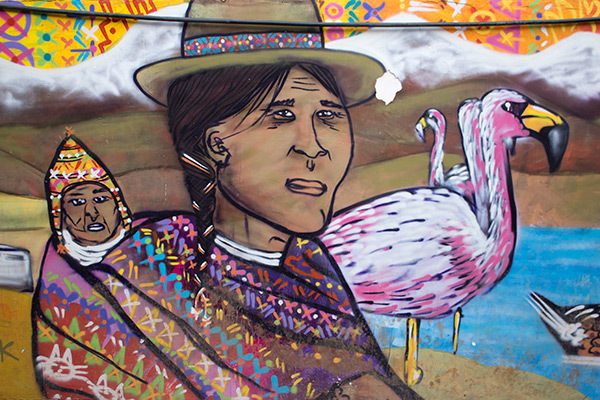 Cerros Concepción and Allegre are the most popular hoods; they bring in tourists and street art fans from around the world. The steep, charmingly ramshackle cobbled streets are lined with swanky restaurants, hotels, galleries and 19th century mansions in a kaleidoscope of colors. 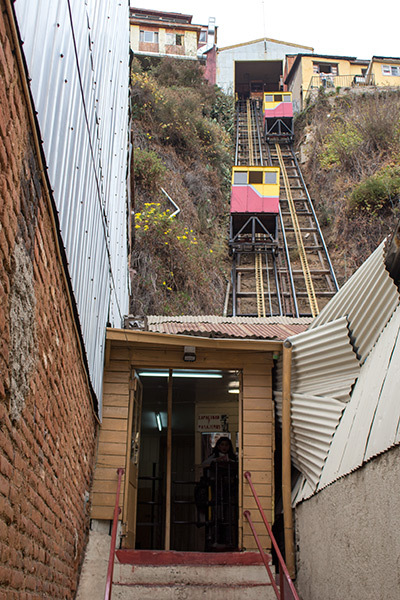 Although the twisting slopes are difficult to navigate, wandering the backstreets, riding the hundred-year-old funiculars, and loosing yourself in the barrios is half the fun. You can’t turn a corner without finding art. 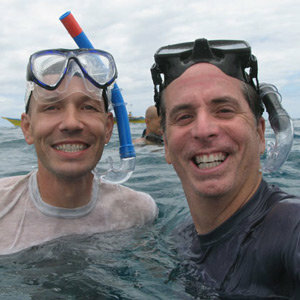 Tony and I meander down the road from our hotel Hotel Boutique 17. 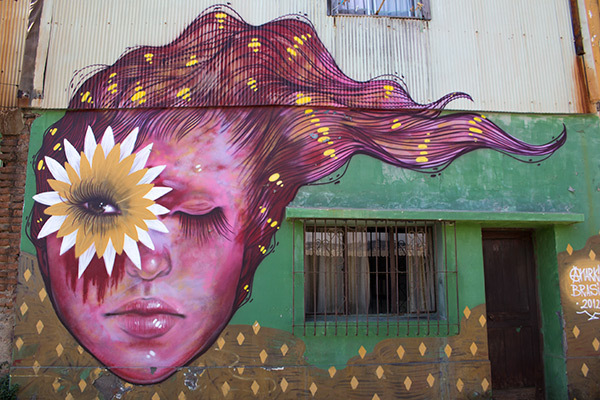 Doorways and fences are covered in psychedelic graffiti explosions, one of the artists herself is covered in paint and bedecked with flowers. 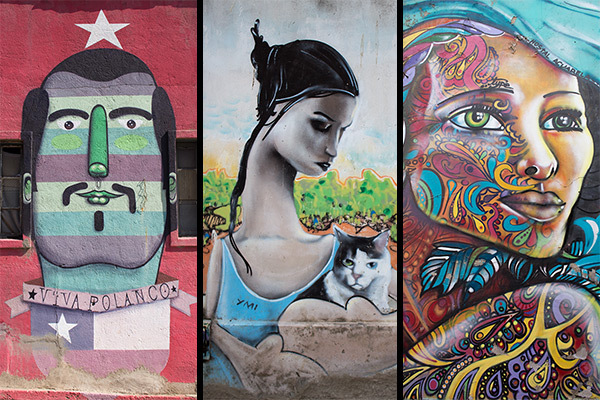 With its artsy, bohemian vibe and somewhat dilapidated feel, I can see why Valpo is sometimes compared to a much smaller, Latin American, seaside version of Berlin. As we turn into Atkinson Walk with its perfect rows of pastel-colored colonial houses, we stop at the corn-yellow Victorian-style Brighton Hotel. The views of the cluttered hilltops and the bustling port below are stunning! 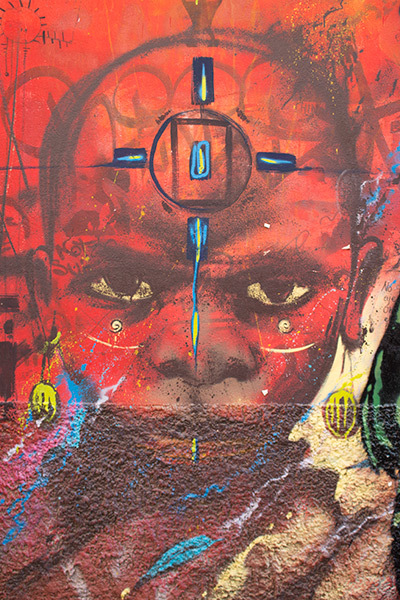 A large-scale mural of a bejeweled tribal doll by INTI covers the side of a building in the distance. 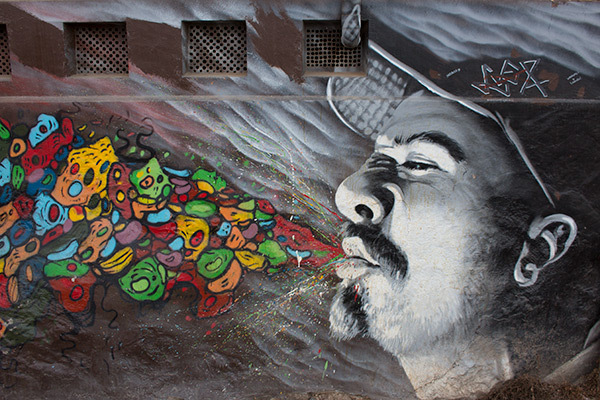 Similar art pieces by Valparaíso’s most famous graffiti artist can now be seen all over the world. Wow! 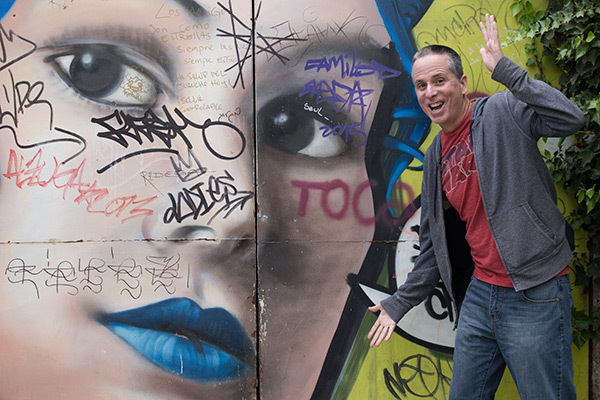 Two days of exploring the faded beauty of our immediate neighborhoods has left us wanting to go further afield. 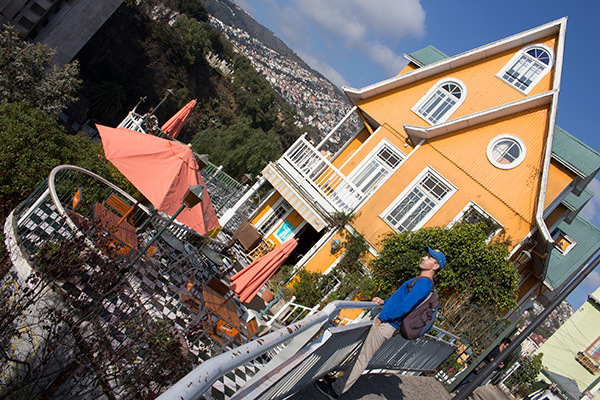 We take circular bus 612 from Plaza Echaurren which takes us on a roller coaster ride through the back hills of Valparaíso along Avenida Alemania. 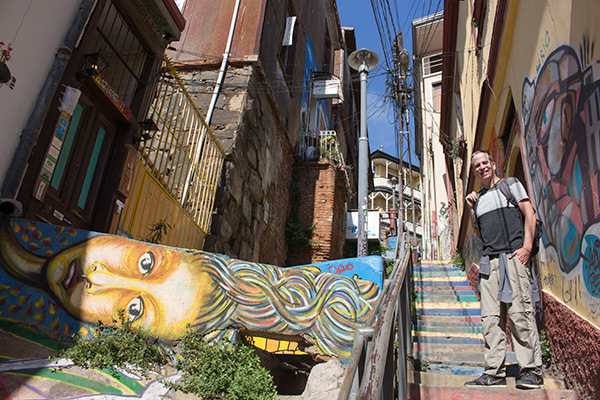 We stop for a stroll in Barrio Bellavista, home to poet Pablo Neruda’s house La Sebastiana. 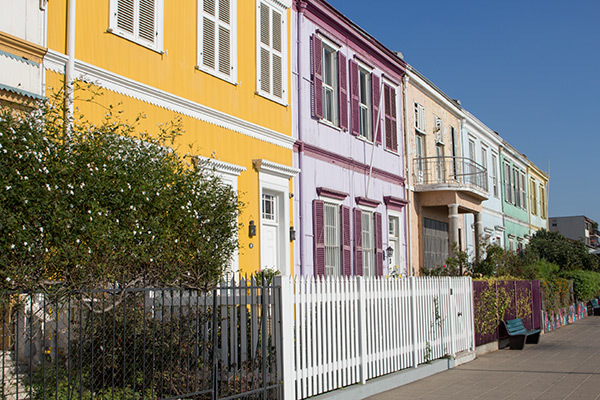 The neighborhood boasts a gorgeous 180-degree panorama of the city backed by the Pacific! 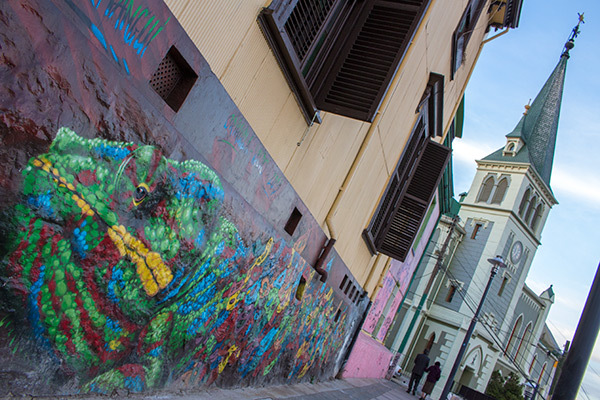 It becomes immediately clear why Valpo is on UNESCO’s World Heritage list. 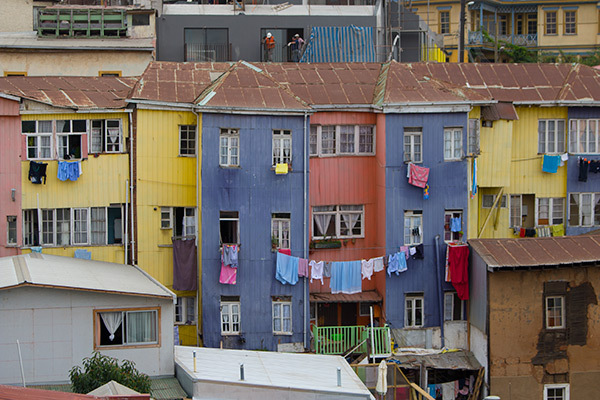 Neruda once described Valparaíso as unkempt, as a city that never had time to get dressed and which has always been surprised by life. While this isn’t necessarily true for Neruda’s pretty Bellavista, it definitely fits Cerro Polanco, our last stop on bus 612. 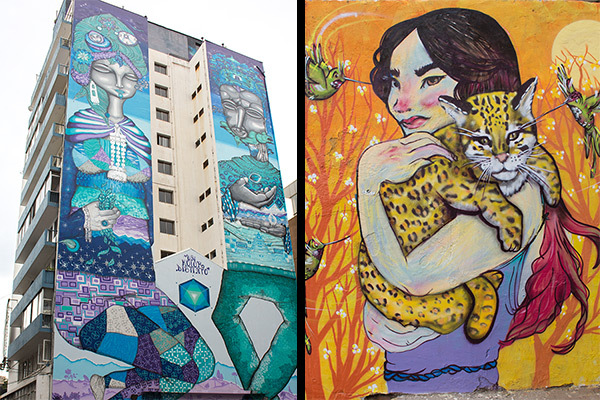 This low-income neighborhood was recently transformed into an open-air gallery during a graffiti festival. 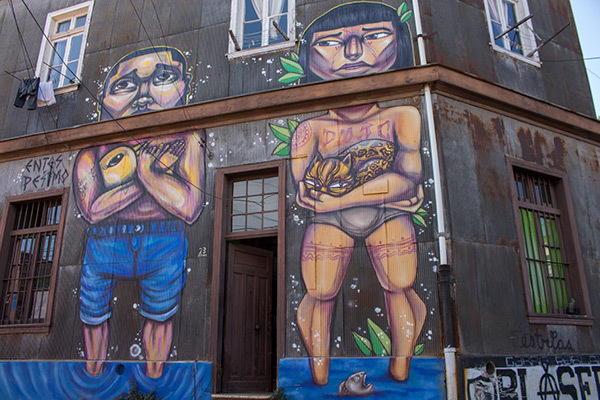 As we huff up the hill over broken cobblestone, we discover unbelievable art on the battered corrugated iron facades. 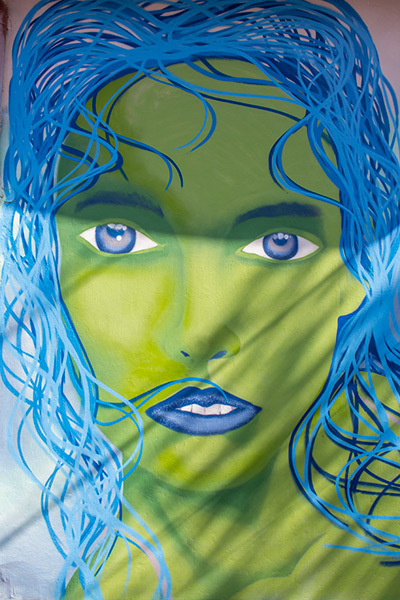 A shadow cuts across a woman’s face, her green skin and bright-blue eyes remind me of a pretty Princess Fiona from Shrek. 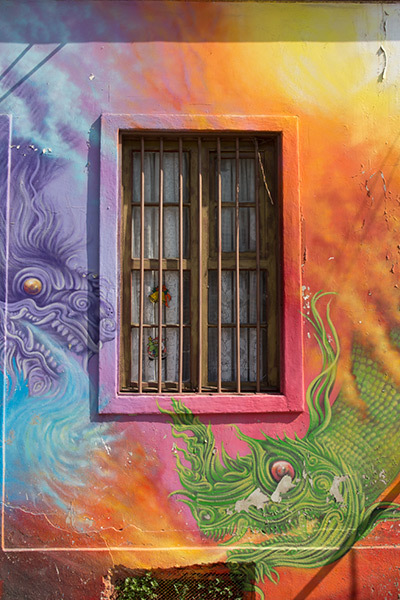 Native Chileans tower over us and fire-spewing dragons create a whirl of rainbow colors around a barred window. 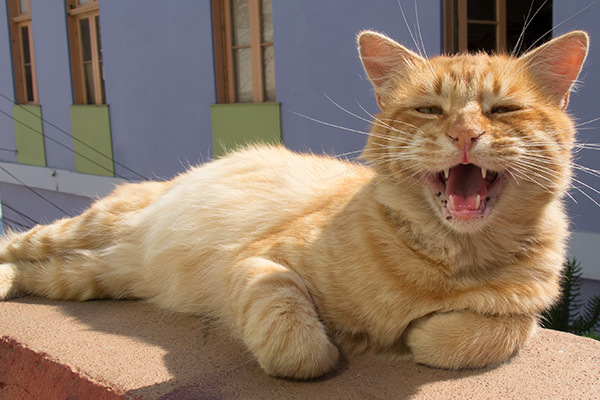 The neighborhood is deserted except for the two-dimensional characters on the walls and a few stray cats. 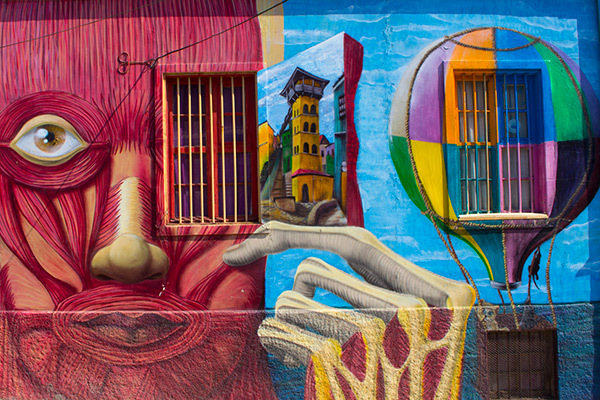 The streets feel like the ultimate Technicolor Rorschach test, an emotional and colorful explosion of paint and patterns. 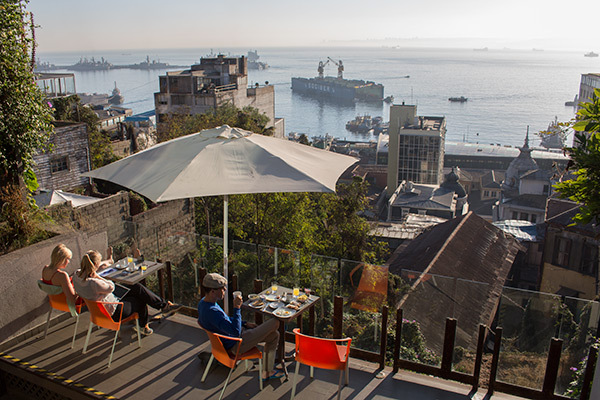 We would like to thank Hotel 17 for hosting us during our time in Valparaíso. 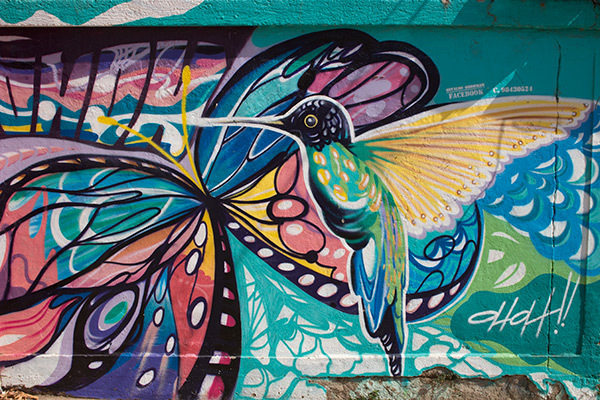 We really liked the location on Cerro Concepción – far enough from the hustle and bustle of the city below, but close enough to explore the trendy barrios Concepción and Allegre on foot. 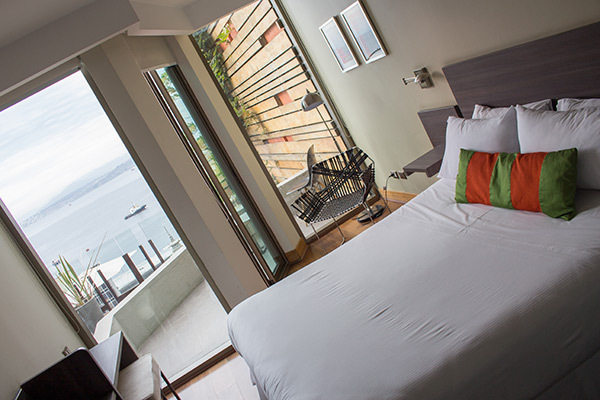 Our comfortable superior double room with sea view came with its own little terrace. 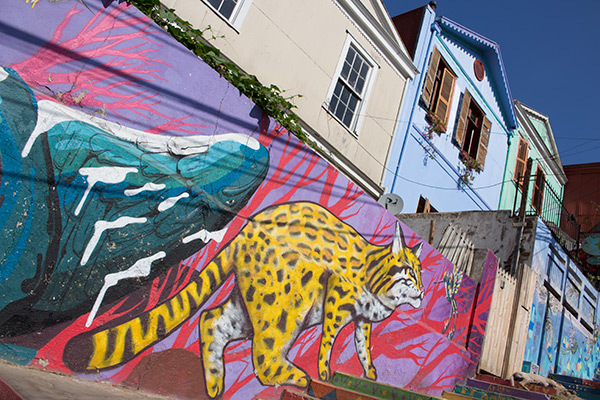 From there, we had sweeping views over the hills, the port and the Valparaíso bay. We enjoyed the flatscreen TV and WiFi Internet for kicking back in the room between outings. We also appreciated the continental breakfast consisting of yogurt, müsli and fruit, toast and jams, meets and cheeses, coffee and juices as well as eggs on demand. It was served on the sunny terrace overlooking the city which was a wonderful way to start the day. 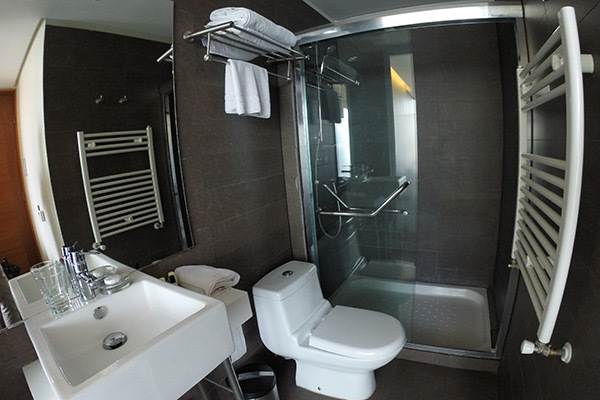 If you would like to find out more about Hotel Boutique 17 or contact them directly, visit them at www.hotel17.cl/. 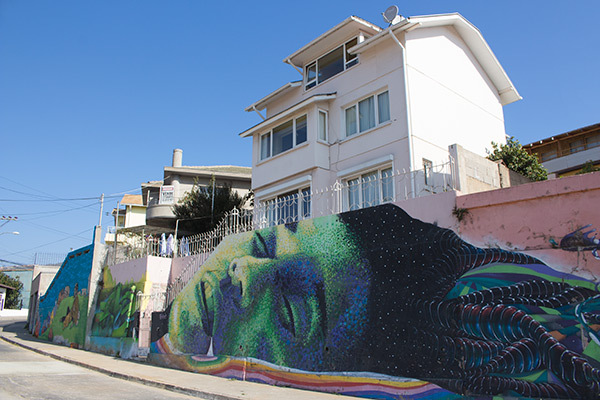 Disclosure: We were guests of Hotel Boutique 17 during our stay in Valparaíso. However, all of the opinions expressed here are our own. 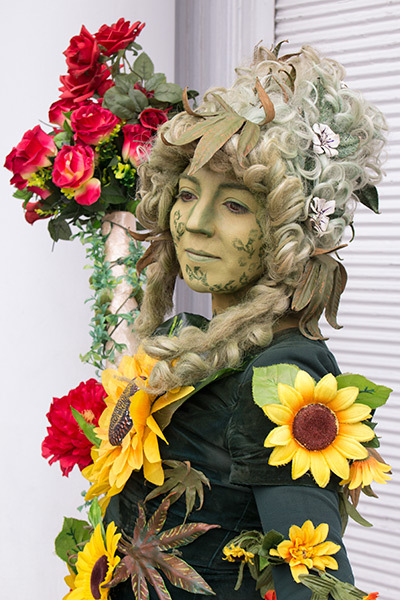 Sieht toll aus, da würde ich auch gerne ein paar Tage verbringen. 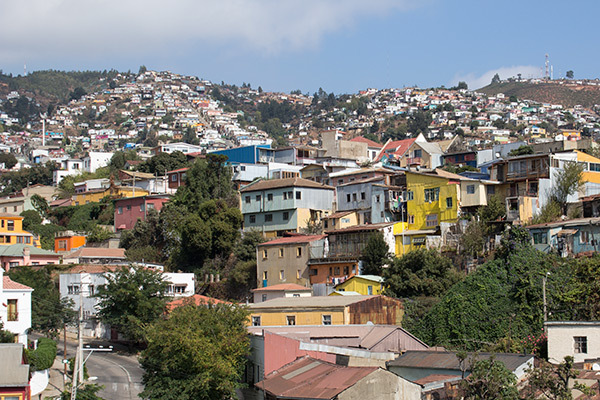 Claudia, ich hoffe du kommst irgendwann dazu, Valparaiso zu besuchen. 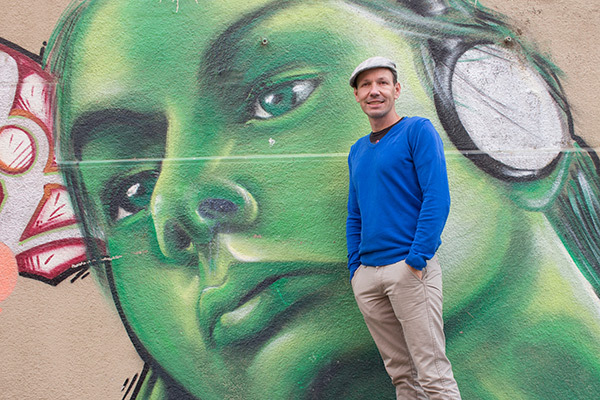 Für Graffiti-Liebhaber können wir diese Stadt wärmstens empfehlen! Is this in just one section of the city? 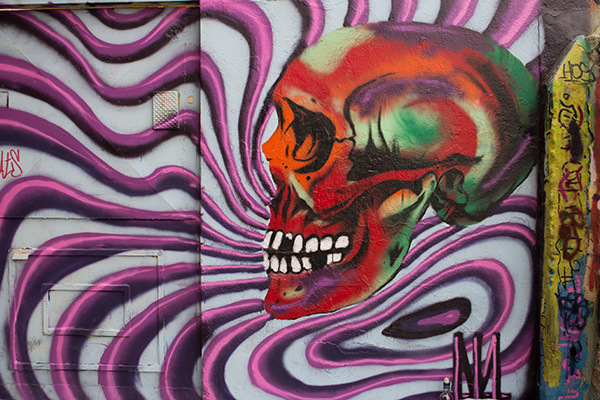 What neighborhood would be best for graffiti hunters? 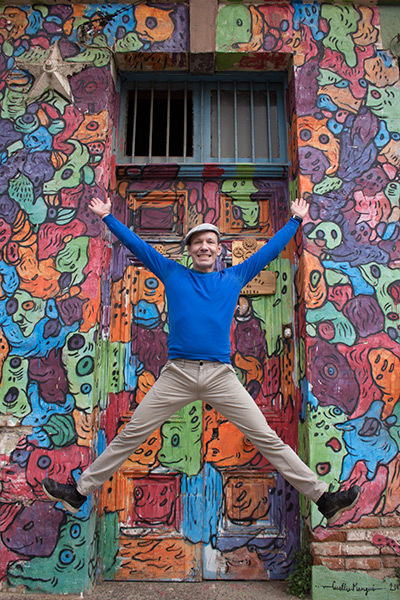 @Will, No, the city is FILLED with graffiti. However, cerros Concepción and Allegre are particularly good. 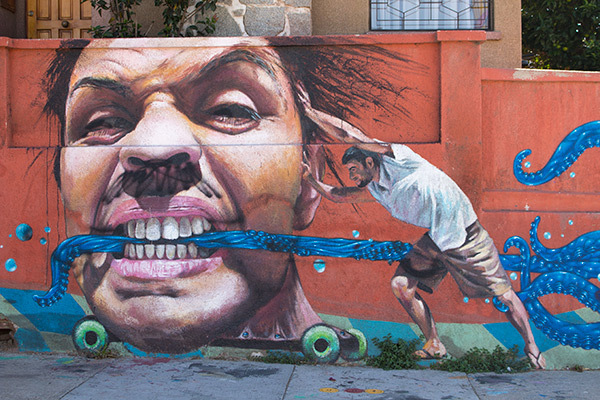 It it really is worth going out to Polanco because there is some spectacular street art out there. Thanks for the memories. 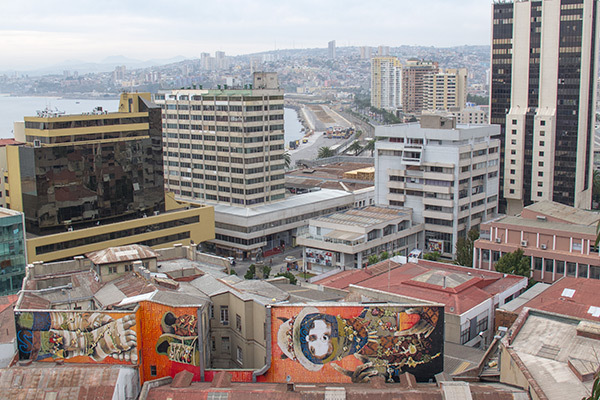 Valparaiso was one of the highlight of our trip across South America in 2011. We liked it so much that we ended up staying for two weeks. Great town.